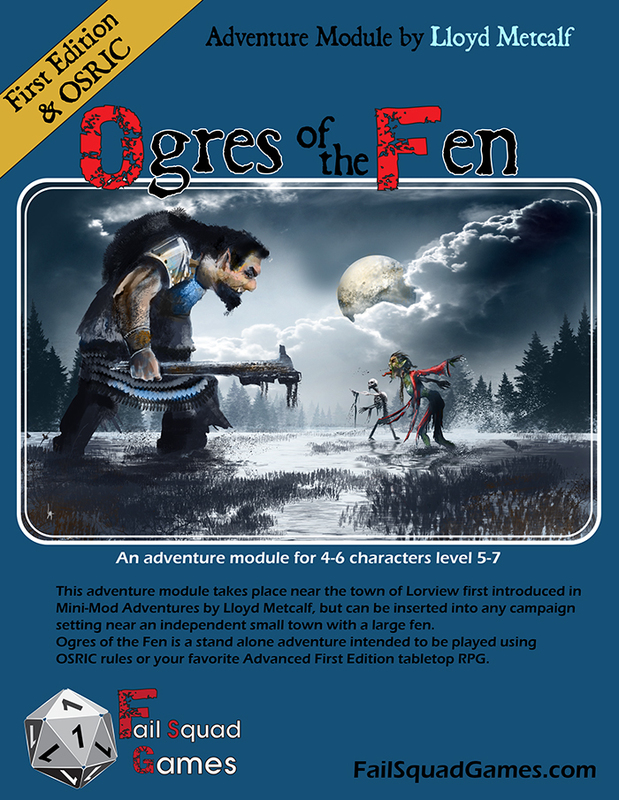 Ogres of the Fen IS HERE! In a final push to be ready for Game Hole Con, I managed to get Ogres of the Fen completed! It is waiting for you in the webstore, I am quite pleased with the end result. You can also bid on the #1 module off the press WITH original pen and ink art work used in production! Click here to see the EBAY listing now! ← Last Call Oliviah enters Layout!